Scandi-Style Decorative Logs by The Log Basket. Create a striking log stack display in an empty recess or alcove. Inspired by a key trend in interiors - Nordic Retreat. Each bundle consists of different diameters of logs for a tight-fitting stack with minimal gaps. One bundle contains enough logs to fill a space measuring 30cm x 30cm x log length (12” x 12” x log length). Our Scandi-Style Decorative Logs are the perfect finishing touch for any Nordic-inspired interior. Nordic décor typically incorporates neutral colour schemes with plenty of natural, textural materials, so install a stack of these logs that combine white with natural wood to create a stunning feature within an empty alcove or fireplace. Scandi-Style Logs also look amazing when stacked into a contrasting dark, or black, fireplace too. They are perfect if you’re considering simply part-filling a recess – the chalky white sides of the logs can then be easily admired, creating an unusual focal point. Each softwood log is hand-dipped in a chalky, whitewash solution along its entire length, leaving one end grain delicately white; the other end grain remains as natural wood. You choose which end to display - why not try a mix of both? One bundle (30cm x 30cm x log length) contains approximately 12-15 Scandi-Style logs of varying diameters (from 4cm to 15cm), including two half logs ideal for neatening the outer edges of the log stack. They create a close-fitting stack with very small gaps between the logs - they are ideal for displaying in large or small recesses. 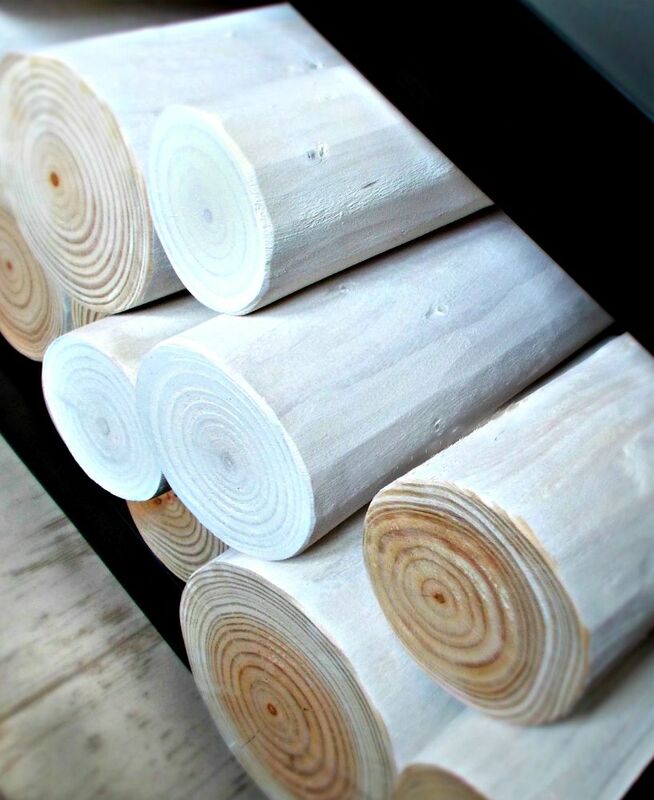 Scandi-Style Logs are available in 10cm and 20cm log lengths.